Imani: “Faith,” Believing that a better world can be created for communities now and in the future. I don’t believe in T.M.I. (too much information). Not when it comes to sharing a story that you believe can help someone else. 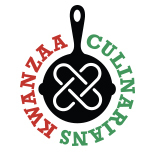 So when Anali approached me with the opportunity to not only contribute a recipe to her Kwanzaa round-up, but to also share a story, I was all in. When I found out my principle was “Imani,” or ‘faith’ in Swahili, I nearly jumped out of my chair. For Imani, has brought me out of every tribulation I can think of, and I have no doubt whatsoever that Imani will continue to hold my hand through whatever life decides to throw my way in the future. An erudite child “by nature,” I excelled at school. So much so, that I decided to become a professional student. From high school to undergrad to a PhD and finally a postdoc (residency for PhDs), I learned and learned and learned. I learned because I genuinely enjoyed it and received praise, but I also learned, because I saw it as my duty. You see, from the moment I stepped foot out of Western MA, I was dedicated to helping people ‘like me’ have a better life tomorrow than they did today or yesterday. This led me to early conceptions of social change comprised of overly-idealized social movements and protests. Over time, I decided that research—asking questions, creating knowledge, and reflecting realities that were largely silenced in social science—was the way to help my community. Now, after more years of school than I’m inclined to mention publicly, I believe that social change is completely and utterly interpersonal. What does this mean? It means that I hope to make the world a better place one human interaction at a time. It also means synthesizing my passion for food and my passion for ending human suffering. But most of all, it means leaping, plunging head first into an unknown pool of vocational pursuits that are not wholly scholastic in nature. Luckily, it also means knowing that even with the fear I undoubtedly feel, Imani is my life vest. As Susan Jeffers says, I will ‘feel the fear and do it anyway,’ because in following my passions, I know deep down inside that I will be a happier person for it, and that my community will be more empowered as a result of it. 1. Pre-heat oven to 375 degrees F. Add corn to large baking pan. Drizzle with 2-3 tablespoons olive oil. Sprinkle with salt and pepper. Roast ~30 minutes (stirring twice) until corn is caramelized. Set aside. 2. Saute onion and bell pepper in 2 tablespoons of olive oil over medium heat. After ~5 minutes, add garlic. Cook ~5 minutes until veggies are soft. Add chopped spinach, sprinkle with salt, pepper, nutmeg, cayenne, and chiles. Cook ~5-8 minutes, until spinach is wilted. Add veggies to large bowl. Set aside. 3. Add 2-3 tablespoons of olive oil to a sauté pan. Add vegan chorizo. Saute until chorizo is fully cooked. Add to the bowl with the veggies. Add the corn, goat cheese, and parsley. Stir fully. Adjust seasoning. 4. Sprinkle flour onto your counter. Roll out pie crust to approx. 1/8 of an inch. Cut out circles of desired size (make sure you cut out an even number of them). 5. In a small bowl, beat egg with half and half (egg wash). Add ¼ cup of water to a separate bowl. 6. Add filling to center of cut out dough, being sure to leave a border around the cut dough. Using your finger, add small bit of water to the edge of dough. Add second dough to the top of dough with the filling and seal tightly with your fingers. Repeat until all dough is used up. 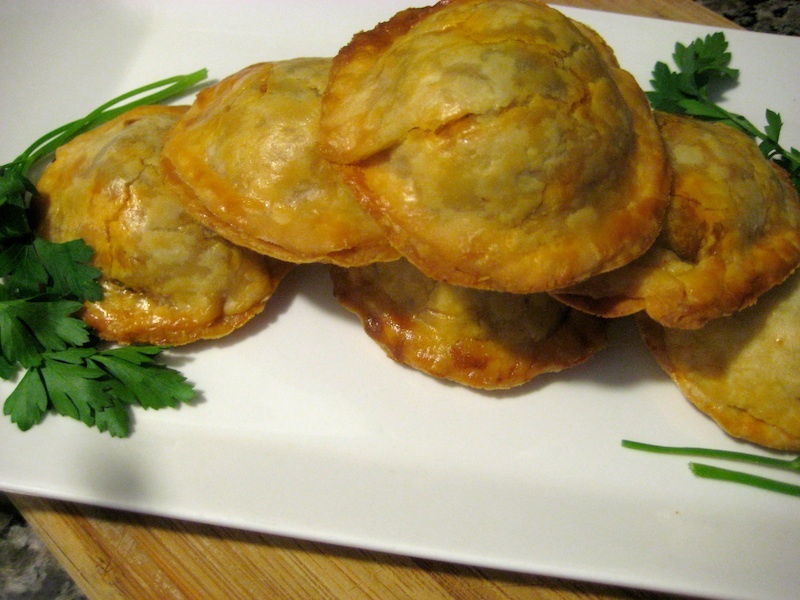 Brush each empanada with the egg wash. Bake ~15-20 minutes or until empanadas are golden brown. Serve warm or room temperature. Tiffany M. Griffin is a psychologist, writer, and culinary activist who resides in Washington, DC. Her approach to food, life, and spirituality–which she sees as fundamentally intertwined–has been shaped by her childhood in Springfield, MA, her formative years in Boston and Ann Arbor, MI, her travels throughout Latin America, the Caribbean, Africa, and Europe, and most recently by the two years she lived in Durham, NC. When not engaged in health disparities research and policy, or her food activism activities, Tiffany shares her culinary creations on her food blog–Como Water. She also enjoys dancing (salsa, samba, forro, afoxe, merengue, bachata, pasada, and funana), painting, writing, watching Indie movies, watching Boston sports teams win, reading revolutionary memoirs, practicing yoga, and learning more about linkages between quantum physics and spirituality. What a perfect way to celebrate Imani and the New Year! This entry was posted on January 1, 2011 by Lisa Johnson in 2011, Imani, Personal Story, Recipe and tagged Como-Water, ComoWater.com, Imani, recipe, Roasted Corn Goat Cheese Vegan Chorizo Empanadas, Tiffany M. Griffin, Vegan.